In 2012, MCSI’s spring event series explored the difficult work of making democratic politics and social relations happen. In pursuing this inquiry, we examined forces that thwart and pervert democracy, particularly in our own time. These forces are complex and in some cases elusive. They include, to start, the activities of corporations and militaries. However, they also include the ways political boundaries—between, for example, cities and incorporated suburbs, as well as between independent sovereign states—limit and often pre-empt democratic political organizing. In examining these and other forces that thwart and pervert democracy in our historical moment, we will be particularly concerned with the uneven impact of professional-managerial “experts” on democratic political projects. The title of the series speaks of “democracies” in the plural, so as to emphasize that our concern is with the realization of democratic ideals in specific and changing social-historical contexts—not in some abstract or hypothetical world. In this regard, our series pays particular attention to the uprisings and movements toward democracies in the Middle East over the last year, as well as to both changes in U.S. electoral politics and the emergence of the “Occupy” movements in the U.S. this fall. Finally, whereas a prominent strand of anti-democratic, or conservative, thought is always anxious about the possibility of there being “too much democracy,” this MCSI series unabashedly embraced the view that democracies are something to value and enhance, rather than tame and control. As in past years, MCSI events included presentations by vanguard artists, cutting-edge scholars, and creative policymakers. A concert, “Musics for Democracies: Southwest Chamber Music and Wadada Leo Smith perform Wadada Leo Smith,” followed by a panel discussion with Wadada Leo Smith and Jeff von der Schmidt (Director, South West Chamber Music), moderated by Donald Brenneis (UC Santa Cruz). “Musics for Democracies” draws from Wadada Leo Smith’s “Ten Freedom Summers,” which premiered in October 2011 at REDCAT; here is the review from the Los Angeles Times. 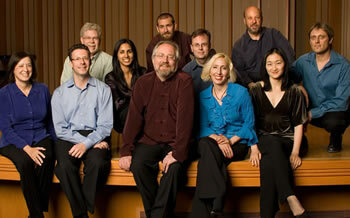 Wadada Leo Smith and Southwest Chamber Music are the Murray Pepper & Vicki Reynolds Pepper visiting artists for 2012. Akhil Gupta (Anthropology, UCLA) is author of Red Tape: Bureaucracy, Structural Violence, and Poverty in India (2011). Cristina Beltrán (Social & Cultural Analysis, NYU) is author of The Trouble with Unity: Latino Politics and the Creation of Identity (2011) and winner of the American Political Science Association’s Ralph Bunche Award for 2011. Tim Mitchell (Political Science, Columbia University) is author of Rule of Experts (2002). Geoff Eley (History, University of Michigan) is author of Forging Democracy: The History of the Left in Europe, 1850-2000 (2002). Asli Ü. Bâli is Acting Professor of Law at the UCLA School of Law. She teaches Public International Law, International Human Rights and a seminar on the Laws of War. Rebecca Solnit is author of Storming the Gates of Paradise: Landscapes for Politics (2007). This talk identifies four different modes of ethnographic engagement with Palestine since the nineteenth century: biblical, Oriental, absent, and post-structural. Focusing on the epistemic and political dynamics in which the recent admissibility of Palestine as a legitimate ethnographic subject is embedded, two conditions are highlighted. One is the demystification of states and hegemonic groups that control them, and the concomitant legitimacy of groups with counter claims. The other is the “crisis in representation” in the social sciences and the humanities. Combined with the rupture in Israel’s sanctity in the West since the 1980s, these developments were conducive to Palestine’s admission. Palestine is considered as a problem space that could reinvigorate the critical abilities of post-colonial language and the anthropology that it engenders. Dr. Khaled Furani is an assistant professor of anthropology in the Department of Sociology and Anthropology at Tel-Aviv University. His research interests include social theory, modernity, language and literature, secularism, and Palestine. His articles have appeared in American Ethnologist, Comparative Studies in Society and History, and the Annual Review of Anthropology, among others. Dr. Furani’s book, Silencing the Sea: Secular Rhythms in Palestinian Poetry, is forthcoming from Stanford University Press (2012). Rochelle Davis is assistant professor of anthropology at the Center of Contemporary Arab Studies in Georgetown University’s School of Foreign Service. Bassam Haddad is Director of the Middle East Studies Program and teaches in the Department of Public and International Affairs at George Mason University, and is Visiting Professor at Georgetown University. Chris Toensing is executive director of the Middle East Research and Information Project and editor of Middle East Report. Funding provided by a BLAIS Foundation Challenge Award, Claremont Graduate University, the Scripps College Department of Anthropology, and the Munroe Center for Social Inquiry at Pitzer College.